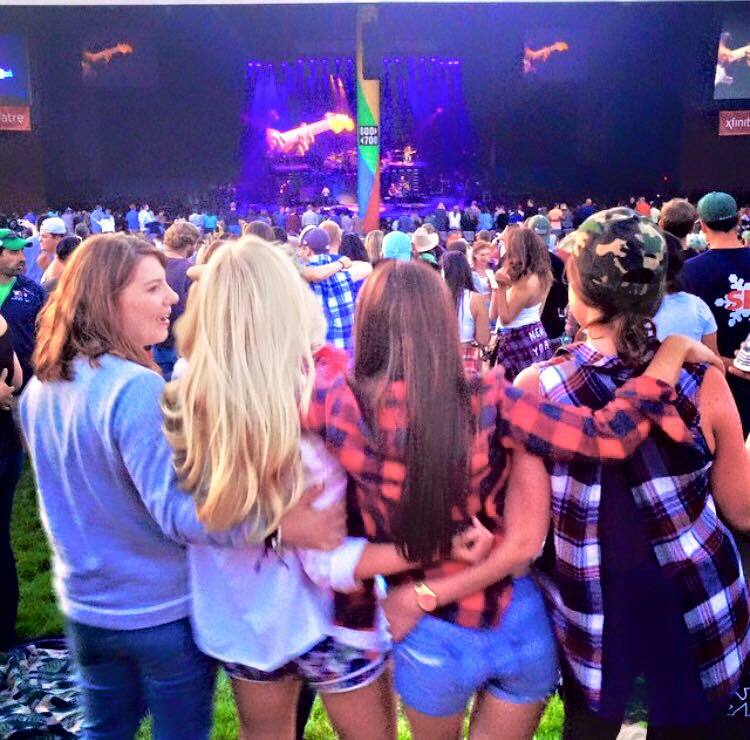 weekend recap: zac brown band! Friday night we hopped into the car and headed to CT for the Zac Brown Band Concert on Saturday night. We spent the weekend with Natalie family, which felt like some type of hotel resort for the weekend. how gorgeous is her dads garden! The Zac Brown Band concert was THE BEST EVER. I know I say that after every concert, which is natural since I am SO obsessed with live music but this really was amazing. It was at the Xfinity Center in CT for their Jekyll and Hyde Tour. Most of the concerts I have been to in college and since have been at this venue which I LOVE!! They opened with “home grown” which got the crowd going. Then they did SIX covers of OUTSTANDING classics. He ended the night with Chicken Fried, the song that made me fall in love with them in the first place! It was hands down the BEST concert. What is your favorite concert ever? This entry was posted in Events, Home, summer fun and tagged chicken fried, country music, xfinity center, zac brown band, zbb.